Did you know there was a difference? 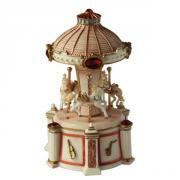 Merry-go-Rounds or Round-a-bouts as they are called in the United Kingdom, revolve Clock-wise as they do in the rest of Europe. 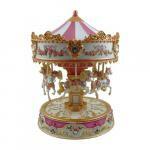 Here in the U.S.A. our carousels (derivatives: French carrousel and Italian garosello) turn counter-clockwise. In either case, they charm their riders by revolving (one way or the other) about a center housing, boasting a platform endowed with graceful galloping horses and perhaps strolling lions, tigers, bears, zebras or even pigs. (Read more: continued below images). 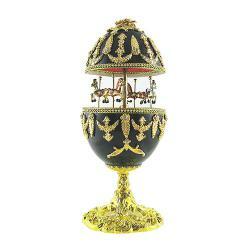 Who doesn’t remember racing to the mount that would rise and fall to the calliope music. 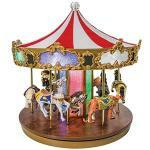 If that carousel had brass rings you tried to capture a mount from where you might reach a ring. If you were an experienced horse-person, you mounted from the near side (horse’s left) of your steed. Some of the animals were stationary as were some benches and later, an occasional mini auto or airplane. Those were great for the parents with babies but not for the older child. 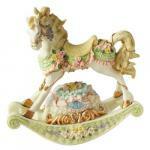 During the years other names included dobbies, galloper, jumper, horseabout and flying horses. The first rides were made for adults. 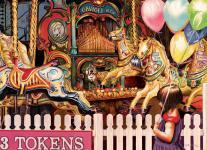 The Flying Horses Carousel is the oldest operating platform carousel in America. 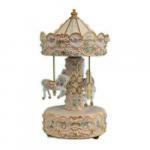 Located in the historic resort community of Oak Bluffs, Massachusetts, on Martha's Vineyard, the carousel was apparently first located in New York City before being moved in 1884. 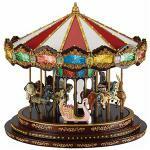 The earliest carousels, called dobbies, were operated manually by an operator or by live ponies. We hope that they were not abused as these live animals were tethered to horizontal posts emanating from a mid-point which lead them in a circular path. 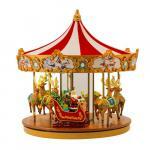 The first fair rides appeared in 6th century. 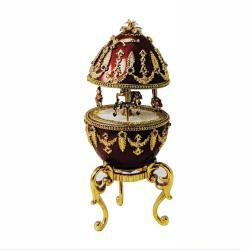 They originated in ancient Byzantium where people-occupied baskets were tied to a center pole and spun. 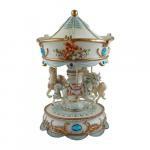 The carousels that we know today evolved from jousting games of 12th century Europe and Asia. Knights of that time would ride in a circle practicing their skills. 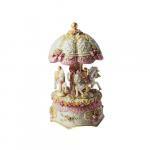 The word “carousel” was first used to describe a game played by Arabian and Turkish horsemen in the 12th century. 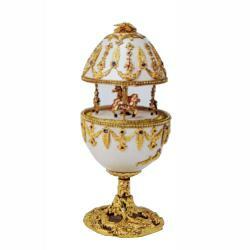 The game, which involved tossing a clay ball filled with perfume between riders, was played with such seriousness that the Italian crusaders who first observed the game called it a “little war” or “garosello (carousello in Spanish).” The French word "carousel" means "a tilting match." 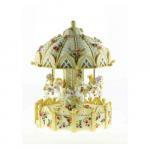 They most likely made their first carousels in the 17th century to be used for practicing a game they enjoyed playing. 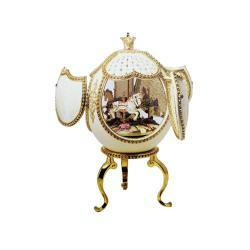 Browse our selection of exquisite carousel and merry-go-round music boxes above!